On the Old Wailea Blue in the grand Wailea Golf Estates! True Bliss is what you’ll find in this contemporary designed home. The absolute best panoramic ocean views in Wailea, Molokini to West Maui! This specialty home offers 4800+ sf, single level living with 4 private suites + an office (or 3 private suites and 2 offices), a media room with a Marantz 50” Plasma and a projection screen with surround sound system for the total movie watching experience. There’s an exercise area, a cool wine cellar and two guest suites separate from the single level living on the main level. The master bath has indoor & outdoor showers with private garden, his and her custom closet, there’s indoor/outdoor sheer decent water features, and custom glass entry and interior doors that compliment the contemporary flair. This home is fully automated with AMX Smart House touch screens & wall panel controls for the solar shades, lighting schemes, sound system, landscape lighting, pool/jacuzzi & more. Also included are 4 Plasma and 4 Flat Panel TV’s, a Fireball player, Satellite Radio, 3 AMX touch panels, 3 internet controlled video cameras for watching your wine cellar or home while you’re away. In the kitchen you’ll find Pogenpol European cabinets with Gagnau, Miele, Fisher & Paykel appliances and even a Miele coffee system. Custom built-in entertainment centers, an elevator, and to top it off, slate roofing. Owner is Licensed. Offered at $5.498M. Give me a call today to set up a showing to see this spectacular home! Or if you are looking to buy or sell something here on Maui & would like more information about Maui Real Estate please do not hesitate to contact me at 808-276-2004. Visit my website www.SoldOnMaui.Net to search the Maui MLS & check out New Listings and much more. Or e-mail me at trendi@maui.net and tell me what you’re looking for! 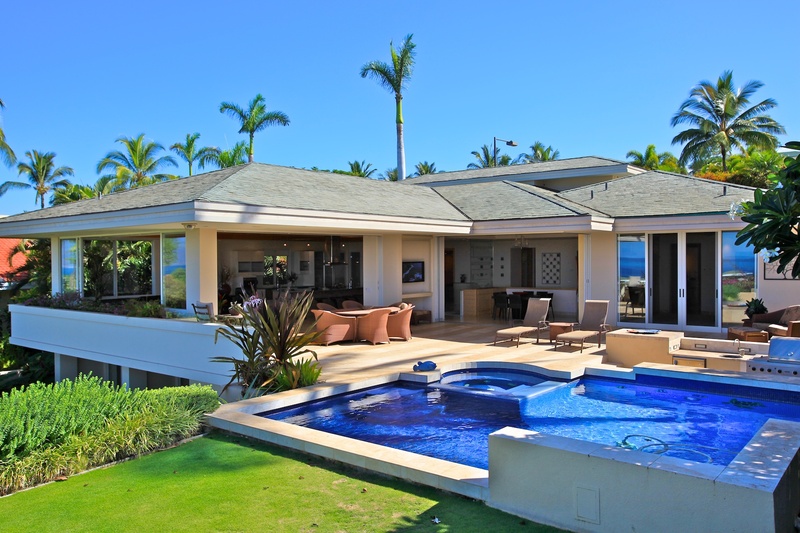 South Maui Real Estate – Big Sales & Big Deals!